When it’s finally time to buy a new replica watch for enriching your collection you realize that your options for choosing a trusted source are considerably limited. 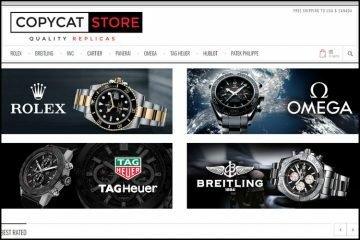 These days, there just aren’t that many professional replica watches online stores that you can trust. Finding the best ratio between product quality, prices and services seems like an impossible mission. 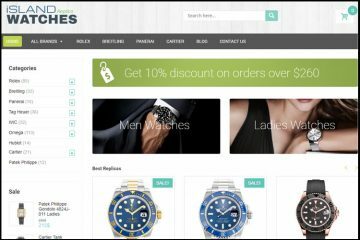 Puretime.watch claims to be one of those idyllic websites that still knows how to treat their customers right and offer the perfect shopping experience. Is that really so? Let’s find out! 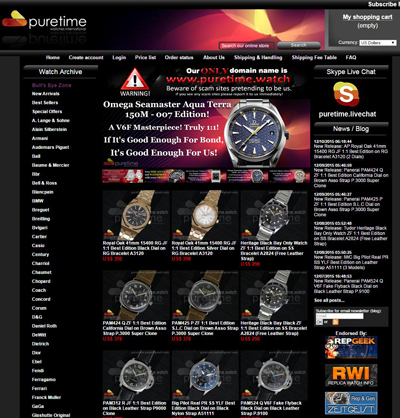 The homepage of Puretime.watch is a real surprise. This section of the site features a fairly crowded design represented by a black and gray color scheme with numerous reddish accents, a simple top menu bar, a very long brand list in the left side of the page, a colorful small size sliding banner and numerous sponsored products below it. The whole look of this website feels very tiresome, unfriendly and complicated. As mentioned earlier, the website features two menu bars. The upper one includes buttons for the informative pages, like Order Status, About Us, Shipping and Handling and FAQ while the left side menu bar includes all the available brands and these are not few. Here you will probably find every watch name that you could possibly think of. From luxury brands with a rich heritage such as Panerai, Vacheron Constantin and Omega to fashion designers like Hermes, Gaga, Ferrari, Dior and D&G. The very interesting thing is that this merchant does not carry Rolex watches. Basically, every replica watches store out there carries Rolex knockoffs. I think that coming across a store that doesn’t offer Rolex fakes is a first for me. The problem with this website is that it is incredibly difficult to browse. Its product categories aren’t organized into sub-categories and there is no advanced search option. For instance, Omega includes 57 pages of different products and you only have the option of filtering them by price range so in order to locate the model which interests you, you need to go through all those numerous pages until you find it. Surprisingly enough, these products are very pricey. I was very surprised to discover that Puretime.watch sells 21 jewels Japanese automatic movement at $240-$400. 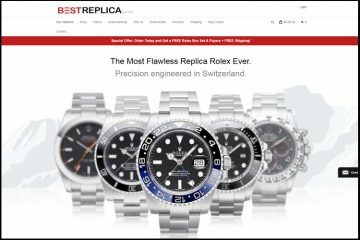 On the majority of replica watches websites, these are most often the prices available for knockoffs equipped with a Swiss self-winding mechanism. The company does not carry Swiss movement replicas. It has some knockoffs priced at $600 or more and these are supposedly “Asian 2836 clone 25J automatic movement modified to Rolex Cal.3135 look”. A little bit pricey if you ask me. I like the fact that this company has very good quality product pictures. 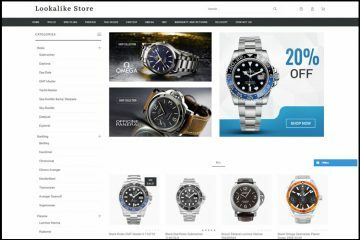 Every single product displayed on its website features over a dozen very clear and detailed photos that show the watch from every possible angle. You can tell that the company has really put a lot of effort into making its own professional and superior product photos that reflect the high quality of its replica watches. Furthermore, you can enlarge every single image to observe the smaller details and see all the important parts of the knockoff. Puretime.watch can ship your order to any country in the world, but the shipping isn’t free. It actually offers two choices for dispatching your package. One is by Air Mail Services and it is the cheapest one available. It costs about $15 and the estimated delivery time is about 10-15 days, but as there is no tracking number available it is recommended to use this option only for spare parts or orders that do not cost more than $100. The second options costs $35 and it has an estimated delivery time of 6-10 working days. The package is sent with EMS, DHL, UPS or TNT and a tracking number is provided. The best thing about this company is that it offers a wide range of payment options. When you place an order on this site, you can choose to pay by credit card( Visa or Mastercard), Western Union or Bank Deposit. The good thing about the last two mentioned payment methods is that these offer you a discount. For instance, when you pay with Western Union you get a 10% discount and when you pay with Bank Deposit you get 8% off. Puretime.watch offers a 6 months warranty for all its replica watches. This policy covers only manufacturing or movement defects. Also, the customer has to pay for all the return costs. Funny thing, the company does not say if it offers a replacement or exchange guarantee. Also, for its refund policy it only says that it offers such a thing, but it does not say how many days you have for returning the products. I find it very odd that it does not give specific details about these very important policies. I was very disappointed to see that this company offers such an unprofessional customer service. The main problem is that it does not offer a valid phone number or email address so you can contact its agents. Next, there is the thing that instead of using an easy to use chat button it offers chat assistance by Skype which I consider to be very unprofessional and unreliable. From many points of views, Puretime.watch is a very good source for buying replica watches. The main qualities are the very good product pictures, the diversified payment options, the worldwide delivery and the 6 months warranty. Unfortunately there are also a few disadvantages such as the high prices, the lack of details regarding its refund and replacement policies and the unprofessional customer service. Sent my faulty replica watch back “rotor didn’t spin” now lost Over £400 with no watch! Apparently they gave me the wrong address to send it to! Don’t trust “Angus” or any other western name they use. I’ve ordered several watches and spare parts in the past with great customer service but this time they took my money and ran. Replied to say they received my money (very quickly) then no response to countless emails. Perhaps something happened to the original owners. Customer service was great before. Complete fraud now. Don’t waste your money. I tried ordering a watch from them. Everything went well, but then suddenly they stopped replying to my emails. Then, suddenly I got a strange email stating that their support was down and to contact them on whatsapp. So I went and messaged the number they sent me and when they finally replied, they were asking for an extra payment to ensure it would be shipped. Stating that it was stuck in customs and they had to pay an extra tax to have it released. It was $60 extra, since I was already $500 into it, I sent the $60 and then they stopped replying to my messages through both Whatsapp and their email. I know I got scammed big time. Also, when I go to the website now, my antivirus warns me of a Java trojan exploit. I would stay away from this site. Now I’m stuck in refund hell with my bank trying to get my money back. I neeex a lower in china to processes this site.